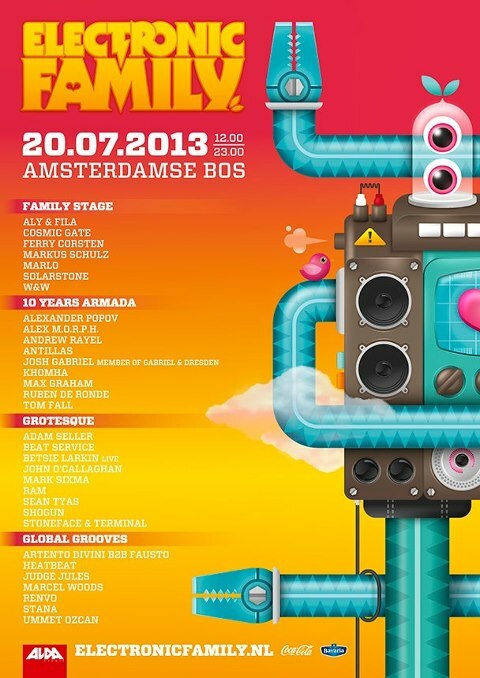 Saturday 20 July, the Amsterdamse Bos near Amsterdam, Holland. A tight blue sky, friendly people around you. A beer in your hand, or a wine. A beautifully divided and wonderfully decorated field, no queues in sight. While people share looks on the vivacious melodies of the world’s most wanted artists in trance music the sense of unity at Electronic Family comes up again. It’s that wellknown unanimous feeling on the dancefloor or (in this case) the grass of the Amsterdamse Bos.